TerraCycle is one of the leading companies in waste management. Their mission toward Eliminating the Idea of Waste®, in particular, has led to practices of recycling cigarette butts that many companies have shied away from. The #savemybutt campaign hopes to further their initiative by getting more and more people involved in this type of recycling. 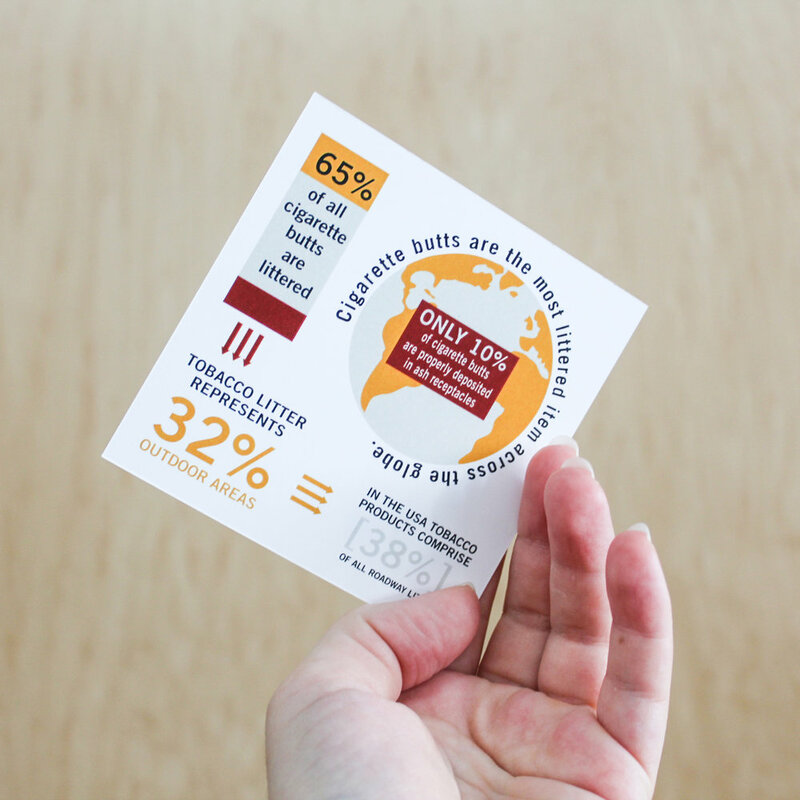 The goal of this project is to encourage and educate smokers on the importance of recycling their cigarette butts and the negative impact of littering. This campaign is geared to the 39+ million adults in the United States that smoke. The goal is to get more individuals recycling and decrease the amount of cigarette butts that are littered each day. Call to action is fundamental and revealed through the many instances of interactive design. The print advertisement component appeals to individuals that do have a degree of interest in the environment and uses a double truck magazine spread with vellum to invoke interaction. Viewers can physically remove or put back the littered cigarettes butts over the images. Unlike the print ad, the “voting booths” appeal to individuals that might not care as much about the environment but find the booth interesting and want to participate or are avid social media users. 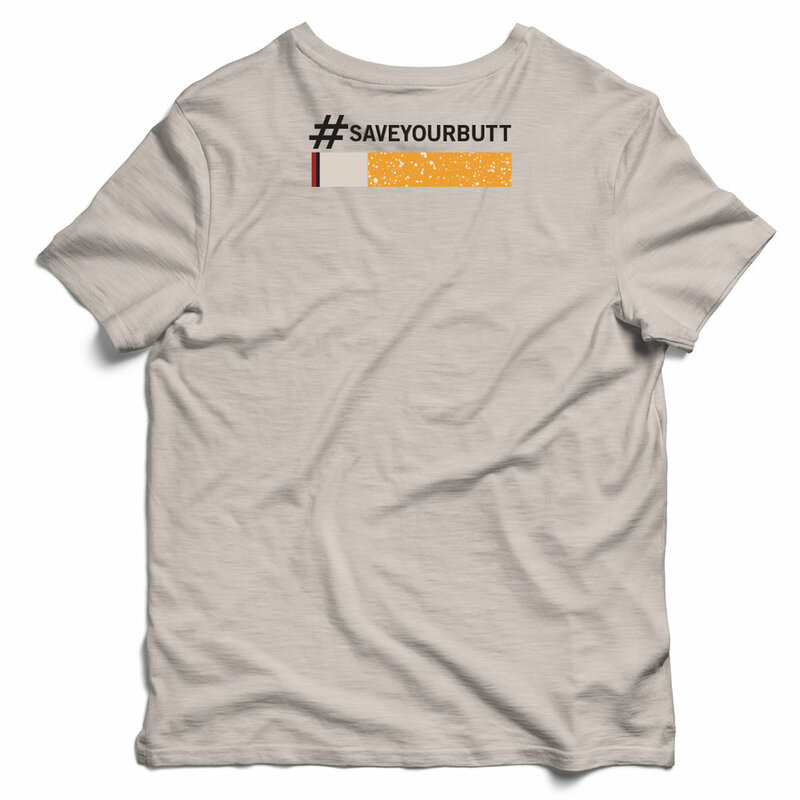 With a humorous hashtag, bold color scheme and easy to read typography the campaign will certainly increase the number of recycled cigarette butts! Double-truck ad with vellum in between. Cigarette imagery is scattered onto the vellum offering readers a visual of how these spaces would look littered with cigarette butts. The text side of the ad stresses the importance of treating the streets similarly to other places of habitation. The ad hopes to express the idea that if one would not trash a bedroom, car, or office, then why trash the one place that houses all of these? One much bigger and far more valuable—our Earth!